Upon diagnosis, pancreatic cancer patients should work closely with their healthcare team in making treatment decisions. Among the points to discuss are: goals of treatment, types of treatments, potential side effects and length of treatment. The healthcare team is critical in making these decisions, but the patient should also be at the forefront, working with their doctor to develop a treatment plan that suits their individual needs. Nicole Lise Feingold, MA, director of Patient Services at the Pancreatic Cancer Action Network (PanCAN), said that while patients may feel a sense of urgency in making a treatment decision, it’s important for patients to assess their own feelings about their goals for treatment. Remember that you are your own best advocate. PanCAN strongly recommends that you discuss your treatment goals with your healthcare team and know all your options at every stage of your disease. Think about what your treatment goals are and discuss them with your doctor. For example, are you looking to the treatment to prolong your life, no matter the side effects? To help you remain comfortable or avoid side effects? Consider how much information you would like to know about your diagnosis and/or treatment plan and if you would like to designate someone to maintain detailed information about your care. Conversations about the goals of treatment should be part of an ongoing dialogue with caregivers and/or family members, as well as other members of the healthcare team. It may also be helpful to discuss the topic with a social worker or other professional counselor, since emotional concerns may play a role. Know that you should feel comfortable and supported by your healthcare team. You have the right to pursue or decline treatment, and if you do not feel comfortable with the decisions being made regarding treatment options, consider seeking a second opinion. Remember that PanCAN’s Patient Central Associates can be helpful in guiding conversations and helping patients gain information about potential treatment options. They can answer questions about the disease, provide treatment information, search for clinical trials, identify local professional counseling resources and offer additional resources on pain and symptom management. 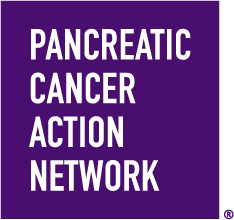 Contact Patient Central for information about pancreatic cancer treatment options, specialists near you or creating a treatment plan.